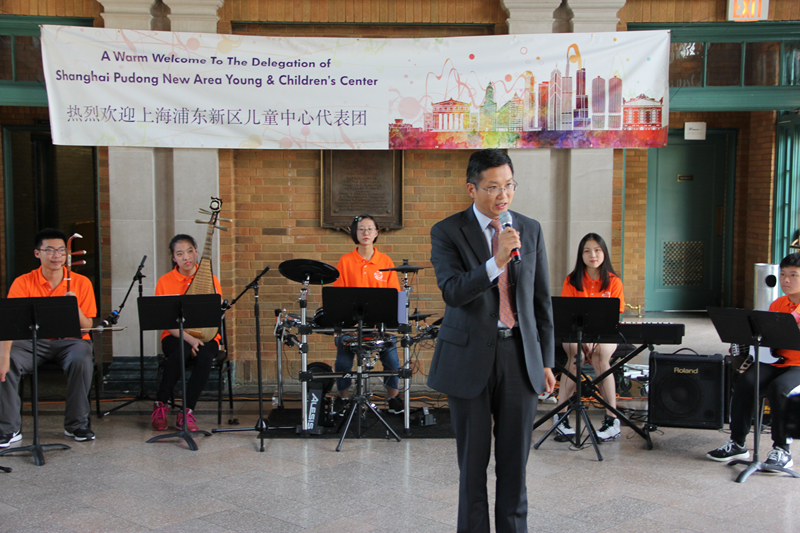 On August 1, Deputy Consul General Yu Peng attended a special concert at the Columbus Park Refectory featuring 10 exchange students from Shanghai, China. 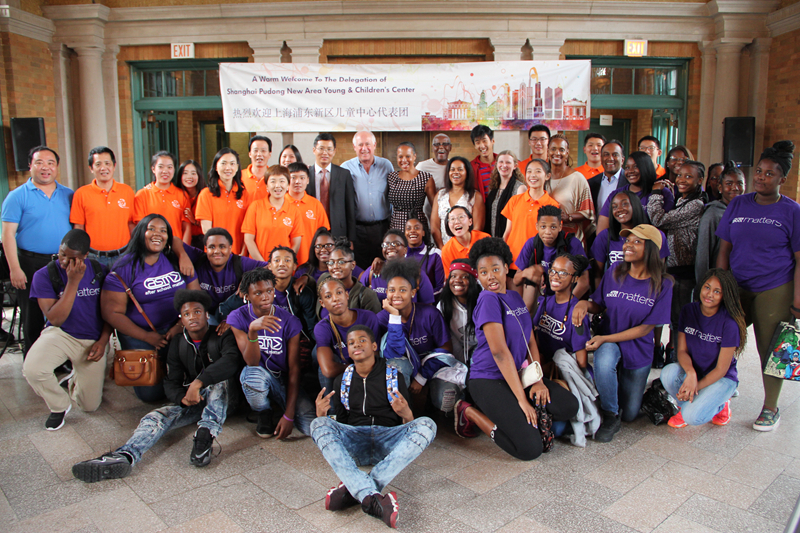 Former Governor of Illinois Pat Quinn, State Representative of Illinois Camille Y. Lilly and Managing Director of Chicago West Community Music Center(CWCMC) Darlene Sandifer also attended this event. Deputy Consul General Yu Peng delivered a short speech before the concert. 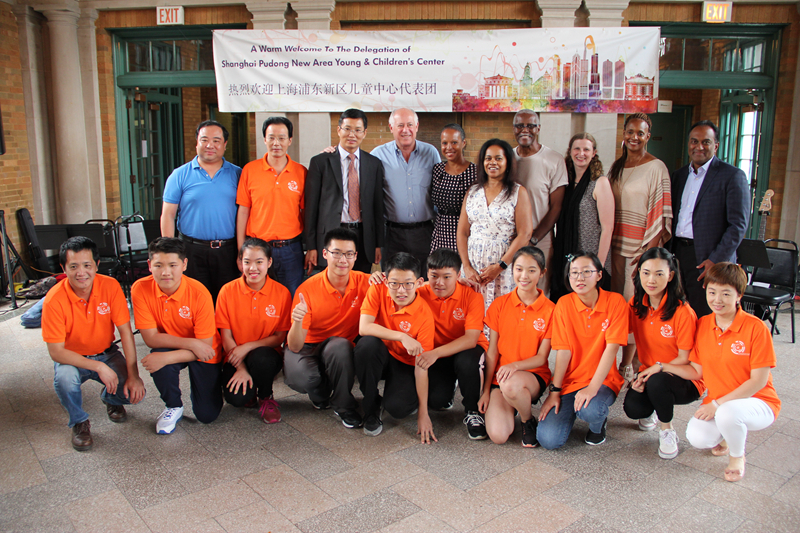 He welcomed the students from Shanghai Pudong New Area Young & Children’s Center to Chicago for the exchange program. Mr. Yu said that the exchanges between youth of China and the US lay the foundation and determine the future of bilateral friendship, and would constantly enhance mutual understanding between the two peoples. He hoped that the cooperation between Shanghai Pudong New Area Young & Children’s Center and CWCMC would become a mechanism, injecting new vitality into development of bilateral cultural exchanges. Former Governor Pat Quinn, State Representative Camille Y. Lilly and Managing Director Darlene Sandifer also gave short speeches. They said that both Illinois and Chicago highly valued the cultural exchanges and cooperation with China. They felt it was a great honour to have the young talents from Shanghai, China exchanging and performing in Chicago. They were willing to provide more platforms and opportunities for the youth cultural exchanges between the US and China. The 10 students from Shanghai Pudong New Area Young & Children’s Center gave a splendid performance. The programs included prelude The Song of Youth, erhu Horse Racing, female solo The Night Sky of Grassland, dancing Flowers, pipa solo Ambush, etc. The concert was well received by nearly one hundred audiences. This concert was part of the exchange program between Shanghai Pudong New Area Young & Children’s Center and CWCMC. In April, 2017, 10 students from CWCMC visited Shanghai as the first part of the exchange program. The 10 students from Shanghai Pudong New Area Young & Children’s Center visited CWCMC in August to complete the second-part of the program.